Comedian Karis of Churchill Show has just arrived from a short trip from the US and found a new family member joined while he was away. 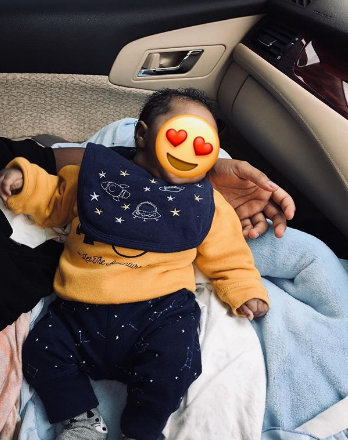 The comedian has been blessed with a lovely son who was delivered while he was on the US. Not much is known about his private life and the comedian has posted only a few photos with his wife. While I was a way,God gave us the Greatest gift daddy and mummy loves you son. ” he said. READ ALSO: I’m broken and ready for fixing- Lilian Muli tells Maina Kageni after her split from "community husband"